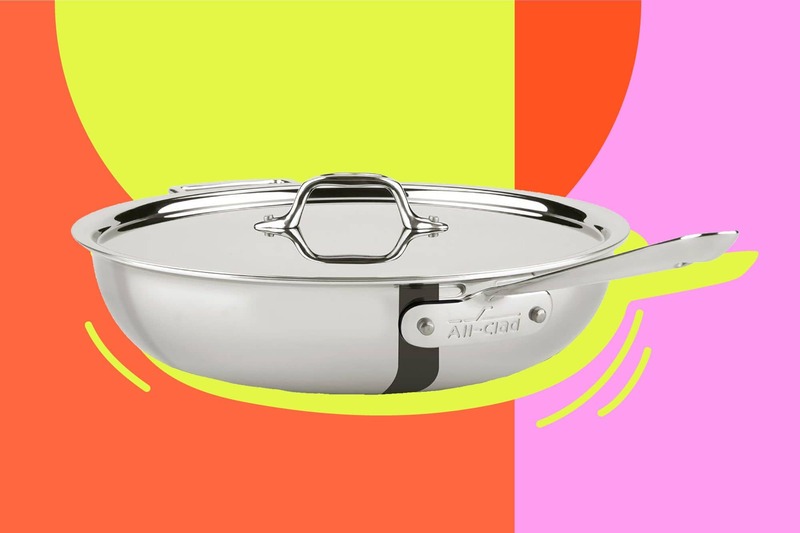 Around here, we enthusiastically celebrate any opportunity to save on All-Clad, one of our favorite high-end (and high price point) cookware brands. So we were thrilled to see that their popular VIP Factory Seconds Sale is back for Black Friday. Hosted by Home and Cooks Sales (you just need to provide your email address to view the sale), this promotion happens a few times a year and features a huge variety of All-Clad鈥檚 classic and specialty styles of cookware. This time, however, there are some extra-deep discounts in honor of the biggest shopping holiday of the year. All items are final sale, and while most are priced generously at 40 to 50 percent off, you can score discounts of up to 80 percent off on certain items. If the idea of factory seconds or a final-sale policy makes you nervous, consider the fact that these pieces only have minor imperfections like scratches and dents that disqualify them from being sold at full price. Once you put the cookware to use, regular wear and tear will make any blemishes all but unnoticeable. If you need any further convincing, consider the fact that one of our editors has built her entire All-Clad collection from this very sale. If you鈥檙e looking to score big, their Black Friday deals include a roasting rack that would sell full-price for $150鈥揵ut is currently only $30. (You read that right.) It comes with a roasting rack and is the sort of holiday essential you鈥檒l use again and again for years to come. If you want something with more day-to-day applications, there鈥檚 lots in the sale for that as well. But if you鈥檙e only going to buy one thing, we have a suggestion for a great piece to pick up and get started on your All-Clad collection. The appropriately named 4-Quart Weeknight Pan with Lid comes in at 51 percent off and is a true kitchen hybrid. Bridging the gap between a frying pan and a saucepan, it鈥檚 ideal for one-pot cooking methods such as saut茅ing, simmering, and braising. The generous 4-quart capacity is large enough to handle batches of risotto (or its cousin orzotto), and since it鈥檚 deeper than a frying pan, you can braise bone-in chicken thighs without worrying about the lid fitting. And, speaking of the lid 鈥� with it the pan is capable of steaming vegetables and cooking rice. Another possible use for the pan? It鈥檚 the perfect size for shallow-frying battered apple rings. Few pans offer such versatility, so if you haven鈥檛 already started your own All-Clad collection, why not begin here? With it you can expect years of delicious meals and quality performance, because even though these are factory seconds, they鈥檙e still backed by All-Clad鈥檚 lifetime warranty. This post was originally published on November 5, 2018. It has been updated to reflect current sales and prices.